The UK rockers are sharing audio of their 2003 hit, "I Believe In A Thing Called Love", and the 2017 "Pinewood Smile" tune, "Buccaneers Of Hispaniola", as the first listen to to the project, which captures the band in a December 10, 2017 concert at London’s Eventim Hammersmith Apollo. “The Darkness is untamed. 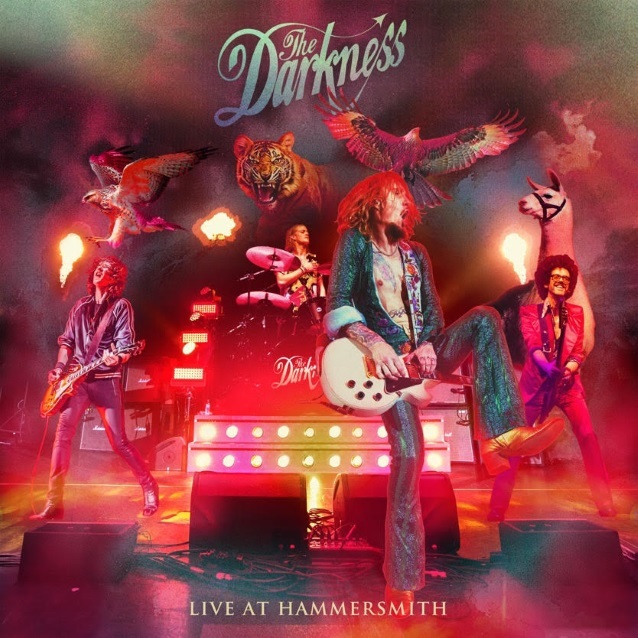 It cannot be caged,” says frontman Justin Hawkins. “Some very clever recording engineers have discovered a way to capture its essence; all that remains is for us to release it back into the wild. The live album will be available via CD, gatefold double vinyl, cassette, download and streaming. Currently playing dates on a North American tour that will wrap up in Dallas, TX on May 2, The Darkness will next be seen opening for The Hollywood Vampires on a European trek in June.